Brexit has been a source of emotionally-charged debate. One point which has received plenty of attention is the sovereignty of Parliament and its relationship with EU membership. It is often explained that the EU’s ability to make laws (which can apply in the UK) is some form of forfeiture of sovereignty. However, this statement has a number of shortcomings, not least that it ignores the election of Members of the European Parliament by the UK, providing (at least to some degree) a democratic mandate to the European Parliament. 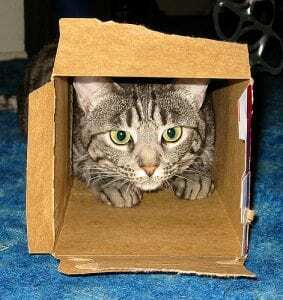 I will use Schrödinger’s cat to suggest that sovereignty can be present in multiple places and remain intact, allowing the normal operation of both the UK Parliament and European Parliament, without offending a nuanced view of sovereignty. In order to do this, one must cast aside the orthodox views of sovereignty and start with a pragmatic and philosophical approach to Parliamentary Sovereignty as it today. Brexit is akin to lifting the lid of Schrödinger’s box to observe the actual state of sovereignty at a specific point in time, but in doing so it reduces the observers to that of a quantitative measurer, and asks ‘is it dead or alive’ – when, in fact, reality is far more complex than this. Firstly, sovereignty is inadvertently thought of as a fixed and finite entity. This notion that sovereignty either exists in the UK Parliament (“Parliament”) or does not is simplistic to the point of being absurd. To say that Brexit, for example, regains sovereignty absolutely, is to completely disregard the relationships that exist within the UK, and with other jurisdictions, intergovernmental and supranational organisations across the world. If the UK wants to continue to hold reciprocal relationships with its overseas territories and dependencies, then there are agreements in place which control the behaviour of Parliament; failing to acknowledge these would give rise to an allegation of constitutional overreach. Similarly, the powers devolved to Scotland, Wales and Northern Ireland form agreements which are codified into statutes. Whether one believes that Parliament is bound by these laws or whether they continue to exist due to Parliament’s acquiescence is a matter for another discussion; on which, there is voluminous material. If sovereignty is used in the strict orthodox sense – being that Parliament can make or unmake any law and that it cannot bind any future Parliament, then it would be possible to talk in finite and definite terms; sovereignty would be intact, or not. However, it is not outrageous to suggest that this concept of sovereignty, along with other concepts of sovereignty, fall short in adequately describing how it can be ‘intact’ while domestic and international relationships require it to be ‘curtailed’. It is cynical to say that being party to international relationships and treaties automatically means that a state must forgo its sovereignty. However, the rhetoric since the Brexit campaigning began seems to continually fall back to “regaining sovereignty”, which would lead one to assume that it was at some point lost. This idea that sovereignty is on or off, much like a light switch is what will be refuted using the analogy of Schrödinger’s cat and two distinct interpretations. Schrödinger’s cat is a thought experiment proposed by Erwin Schrödinger. The thought experiment is paraphrased as this: a cat is placed in a closed box with a radioactive substance, a radioactivity detector connected to a hammer, and a bottle of poison placed below the hammer. When the detector records radioactivity, it will release the hammer and break the glass bottle, killing the cat. Using the ‘Copenhagen interpretation’, there is a period of time when the cat is both alive and dead. This is because these options are both valid until the lid of the box is lifted, and we ‘measure’ the experiment. Suspending measurement (not looking in the box) leaves the cat in a superposition i.e. neither dead nor alive. This is oversimplified, but is all that is needed to facilitate my argument. One further theory in place of the Copenhagen interpretation is the ‘many-worlds interpretation’ which also states that the cat is both alive and dead, but for a different reason. In the many-worlds theory, there is a time a place where each option exists i.e. there is a time and place where the cat is alive, and one where it is dead. On opening the box you acknowledge which time and place you are part of. Apart from alienating almost every physicist and philosopher with the oversimplification of quantum mechanics, these definitions are sufficient to explore some ideas of sovereignty further. I have already suggested that referring to sovereignty as a finite and distinct single entity is self-limiting and intellectually disingenuous. It is however, possible to talk about sovereignty as a group of powers or authorities that originate from a State’s ability to govern its own affairs. This will clearly not satisfy every reader, it is though, at a basic level, a description of sovereign power using the source of the power as justification for the definition. The analogy needs to be amended somewhat to fit – let’s say that parliamentary constitutional powers are put into a box, along with Parliament, the Scottish Parliament and assemblies of Wales and Northern Ireland, the overseas territories and dependencies, and all intergovernmental and supranational organisations that the UK is part of. When the lid is placed on this box it is no longer possible to discern where the powers are being used. However, if one of the bodies in the box uses a constitutional power, then there will be measurable proof that it still exists as the output (whether this is a statute or action of some sort) will be produced. Consider the Copenhagen interpretation; here the powers are suspended in a superposition and do not reside with any institution. To those outside the box, that does not prevent the constitutional law or policy emanating from the box, but it does dictate that the powers exists across institutions in the box as we cannot ‘measure’ the true remit of any institution inside the box. A degree of harmony is achieved with this uncertainty. It puts me in mind of a state known as ateraxia which was described by the pyrronistic philosophers who refrained from passing judgment on a matter in order that the debate can continue, without any party feeling aggrieved for ‘losing a battle’. Not trying to measure what is happening in the box, ensures that the discussion on the matter will continue and hopefully lead to a more enlightened understanding. I do not feel that this option will please many; however, the work of the institutions inside the box still continues even if we cannot objectively measure it from the outside. Opening the box will only lead to the desire to measure which sovereign powers exist where, and by means of which relationships. It is possible that measurement can be achieved by those with the expertise to understand the complex network of relationships and agreements, though asking a lay person to measure the value of sovereign powers held by each body in the box will do nothing more than demonstrate that there is little common agreement on what are sovereign powers, and therefore, what is sovereignty. Diplomatic and legal relationships will invariably continue to fluctuate depending on the needs of each of those bodies in the box at any given time, and trying to measure the distribution of sovereign power will give a snapshot of a relationship in a single point in time, with no context and devoid of all pertinent information. It is Platonic to suggest that only those with the requisite education or experience can look into the workings of Parliamentary Sovereignty and the distribution of powers. However, it has been seen since the commencement of campaigning, simplified slogans such as ‘take back control’ and ‘regain sovereignty’ do not encourage a meaningful discussion on sovereignty. They are sensationalist, and are carefully crafted to produce an emotional response. Using the Copenhagen interpretation is undoubtedly divisive; some may feel that it removes a degree of transparency in sovereignty matters and international affairs, which is often of interest to the general public. The second option then is the many-worlds theory. To recap there are times and places where the cat is dead and times and places where the cat is alive. Therefore, both propositions (the cat is alive, and the cat is dead) are true, but in different places. Applying this to our sovereignty scenario, it is possible to say that sovereignty both exists and does not exist. This of itself is a little too abstract, and so the outcome could be modified to be: measurable sovereign powers exist in a time and place in each institution. That does not mean that sovereignty does not exist; it is still intact but those powers are exercised across different bodies. For example, some constitutional powers will be exercised by Wales in relation to Welsh matters; that does not mean that the UK’s sovereignty is lost. No powers are destroyed and so the collection of powers that remains in the box is intact. They may exist in multiple places at any one given time, but they still exist and are still inside the box. The sovereign powers remain Parliamentary powers but they are used by different institutions at different times. This second option may not satisfy those who wish that sovereign powers were solely used by Parliament. In order to achieve that, Parliament and its powers must be taken out of the box; the remaining institutions in the box will continue to operate, and their relationships with one and other will continue to fluctuate. However, the UK is now outside the box and so the impact and influence it once had is lost, it’s sharing of powers is no longer possible and its participation in the use of other states’ sovereign powers has stopped. Returning to Schrödinger’s cat; if the cat is removed from the box then it is no longer part of the working experiment, the sensor, hammer, poison all remain and continue to work as planned, but the cat is left outside and so no longer able to engage with the experiment. One question raised here is how much of the UK needs to be taken out of the box for it to be the sole user of its constitutional powers and for the orthodox view of sovereignty to become relevant again. This is a complex issue; for example, Parliament agrees not to legislate on behalf of British Overseas Territories on many matters. This agreement in fact curtails Parliament’s sovereignty in that an agreement by an earlier parliament, binds the power to legislate of current and future parliaments. It is politically inappropriate to think that Parliament should be orthodoxly sovereign, having handed matters over to devolved nations in the UK and its overseas territories and dependencies. It is politically inappropriate because, for example, those devolved nations within the UK have handed a democratic mandate to their respective legislatures through elections, to legislate on their behalf. It becomes apparent very quickly that the imperialistic idea of an absolutely sovereign Parliament is practically unworkable, even if it is taken out of the box. What then, is so bad about the box? Is it absolutely essential to take Parliament out of the box to try and fit an orthodox view that belongs in an earlier century, to a model of geo-politics that has long-since gone? The more enlightened approach is to discard established notions, and turn to a pragmatic discussion around how sovereignty could be described to facilitate both the idea of state autonomy and effective participation in international relations. This does not require the removal of the UK from the box, but it does require the removal of the orthodox view of sovereignty from current debate. Academics, lawyers and philosophers have an epistemic responsibility to challenge those notions of sovereignty which are out of kilter with modern society, and to discuss an alternative workable model. There has been a somewhat jovial undertone in my blog; the subject matter however, is less so. Sharing sovereignty does not need to mean that it is lost; it is being used in different places at any given time but it does not operate as a light switch which some have been lead to believe. I can allow a friend to drive my car (as long as the legalities are satisfied), without giving up the title to my car. I may be temporarily relieved of possession of that car, but that does not mean that I no longer own the car. In a similar way, sovereignty is in practice is a set of powers owned by Parliament but used across a broad spectrum of institutions for the benefit of the UK and its people. Attempting to measure sovereignty, will give us a snapshot of a power sharing arrangement that will be untrue in a few moments time. Powers ebb and flow across institutions with constitutional relationships, and so the idea of measuring them becomes ineffective. The business of Parliament continues, the UK’s relationships ebb and flow, as does the use of Parliaments sovereign powers that is not enough to justify that sovereignty has been lost, or has been impacted to any great degree. The idea of ‘silo-sovereignty’ seems too remote to be relevant today. This is also discussed briefly in my earlier article M Johnson, ‘Bermuda’s Domestic Partnership Act 2018: From “living tree” to broken branches?’ (2018) 4 European Human Rights Law Review 367. AV Dicey, An Introduction to the Study of the Law of the Constitution (London 1959). H P Stapp, Mindful Universe: Quantum mechanics and the participating observer (2nd edn, Springer 2011) Ch apter2. This has been drastically simplified, see M Freeman, Lloyd’s Introduction to Jurisprudence (9th edn, Sweet and Maxwell 2016) Chapter 3.